CSInsurance provides bespoke, innovative and competitive insurance solutions to wholesale and retail clients worldwide. A holistic approach is central to our way of thinking. We listen very carefully to our clients, enabling us to provide impartial advice on a wide range of issues. We endeavour to empower our clients with knowledge, enabling them to make an informed decision about levels of protection versus premium spend. Our clients are extremely diverse and spread across the globe. We are also pleased to offer our services to overseas and UK retail brokers who require access to the Lloyd's/London Insurance market. Situated in the heart of the City of London, we utilise Lloyd's Underwriters, London Company Underwriters and International Insurance Companies and Managing General Agents as required. To truly understand the demands and needs of clients, expertise is vital. At CSInsurance, our clients benefit from our considerable expertise and enjoy the peace of mind that their insurance is in safe hands. Craig has worked in the London Insurance market since 1991 and has held senior positions in some of the markets most well respected insurance broking companies, gaining over 20 years experience and working on behalf of clients from various territories. Craig founded CSInsurance Brokers (formerly CSL Insurance) in February, 2012. Louise has over 15 years experience working within the marine insurance industry. Having originally worked for a Lloyd's syndicate, for the past 13 years Louise has worked as a marine liability broker/client working on behalf of clients from various territories around the world. 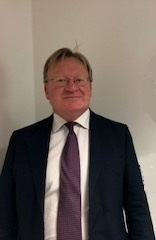 Adam has worked in the London marine insurance market since 1985, broking Liabilities, Hull and War business on both a direct and reinsurance basis.Adam joined CSInsurance Brokers at its foundation, after working at Willis for the past 22 years as an Executive Director of Willis Re Marine. Melvin began his career in 1968 and since 1976 Melvin has worked in the claims field for a number of Lloyds Brokers holding various positions. He has dealt with many classes of business but has specialised, primarily, in Marine Hull, Cargo and Liability claims.